TALLAHASSEE, Fla. - If all went well, a man who has spent 36 years in prison for stealing his own tools would have been paroled on Wednesday. Instead, Mark DeFriest must spend at least six more months in prison to prepare himself for freedom. DeFriest, now 55, was just a teenager when he stole the mechanics tools his late father had bequeathed him before the will was read. His burglary conviction -- which came with just a four-year sentence -- resulted in a virtual life sentence after repeated prison escapes, and earned him the "Prison Houdini" nickname. 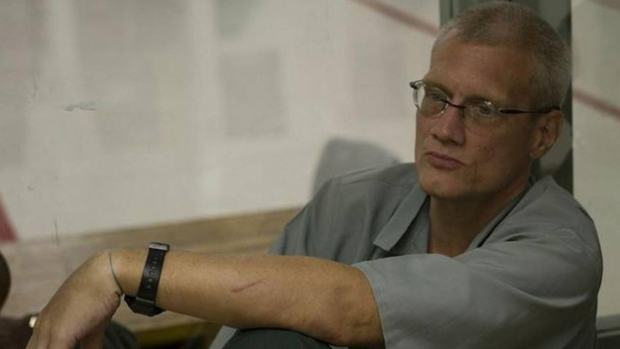 Florida's parole commission gave him a break in 2014, and ordered his parole once he completes pre-release programs. They even had him transferred to Oregon to be close to his wife. But Oregon prison officials misread his file and classified him as a lifer, ineligible for release. DeFriest's lawyers urged him to remain patient, something he has not been that good at so far. Filmmaker Gabriel London, who has made a documentary called "The Life and Mind of Mark DeFriest," argues that DeFriest's troubles stem from his mental health issues. London and DeFriest's attorney John Middleton believe DeFriest has autism, but also functions at a high level. They call him a genius and a savant. DeFriest has been kept in out-of-state prisons for his own protection since 1999 after witnessing guards beat another prisoner to death.